High capacity storage racks are designed to hold the heaviest loads, making them great for tool and die shelving. 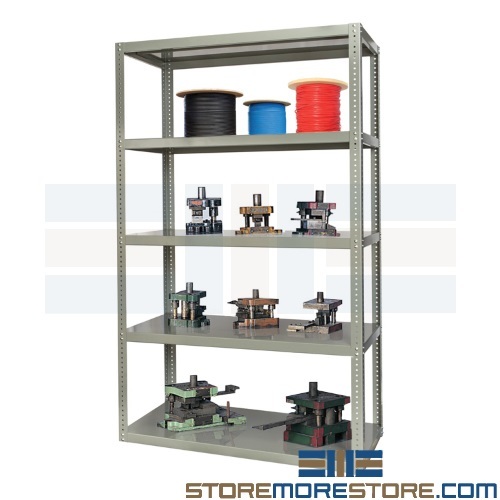 With a maximum load of 2,300 pounds, these racks easily store all types of tools, dies, fixtures, and other heavy materials in warehouses, stockrooms, maintenance and repair services, and more. 36″ wide shelves hold 2,300 lbs. 48″ wide shelves hold 2,000 lbs. 72″ and 96″ wide shelves hold 1,900 lbs. 36″ wide x 18″ deep shelves hold 2,800 lbs. 48″ wide x 18″ deep shelves hold 2,600 lbs. 48″ wide x 24″ deep shelves hold 2,600 lbs. 60″ wide x 24″ deep shelves hold 2,300 lbs. 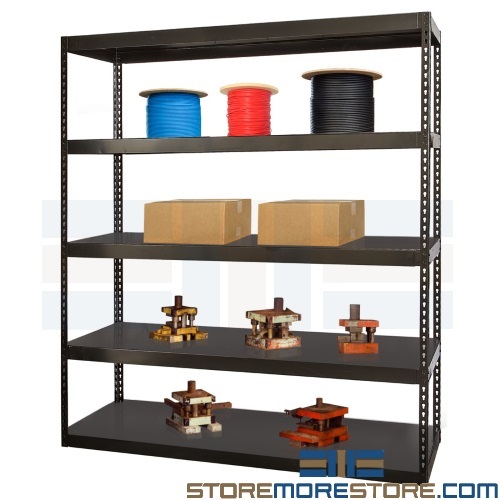 High capacity storage racks are available to buy online and ship in 4-5 business days. For further assistance, call us at 1-855-786-7667 or send us a message to speak to one of our experts.